What is The Portal? Think of an SB7 Spirit Box with a really good filter on it. Some believe we can speak to the dead with the Portal. We built The Portal with the help of a YouTuber named Steve Huff, from Huff Paranormal. He was kind enough to tell the entire world how to make The Portal from scratch. He had already spent thousands of dollars of his own money figuring it out, and then he just gifted it to the world. If you get a chance to subscribe to his channel -do it. His sessions are incredibly cool. He has a new documentary coming out too. 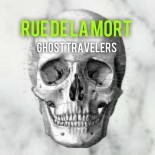 Subscribe to our YouTube channel while you’re there- Rue de la Mort. We have a really cool session we did where we captured the voice of Dorothea Puente, Sacramento’s most notorious serial killer. Steve Huff claims that spirits taught him how to build the box, and we believe him. The mechanical breakdown of the Portal doesn’t explain where the voices come from. So here’s what my crazy-smart electrical engineer friend told me. At the end of a long day, Dave calls. I hear my husband say hang on, let me put you on speaker so Casey can hear. Dave says, “I’ve been watching your Spirit Box video’s on You Tube.” It’s late at night, I’m dead tired and I’ve just collapsed in bed. Suddenly, I’m sitting up straight listening intently. He’s THAT smart of a guy. Dave says, “Well, there’s two possible reasons you hear voices on your box.” “The first, is that you’re using a hacked am/fm radio to pick up pieces of voices that are being broadcast on the air.” “Those snippets, however random, are your ghost voices.” “The second possibility, and the one that I believe,” he continues as I hold my breath, “Is that you are actually picking up spirit voices.” “And here’s why,” “There is active two-way communication between you and the voices on the box.” “Even if things were edited just the right way, there is no way random snippets of air time could have intelligent answers to your questions so consistently and so clearly.” “I believe your box works”. Mind blown, smile on my face as I fall asleep. 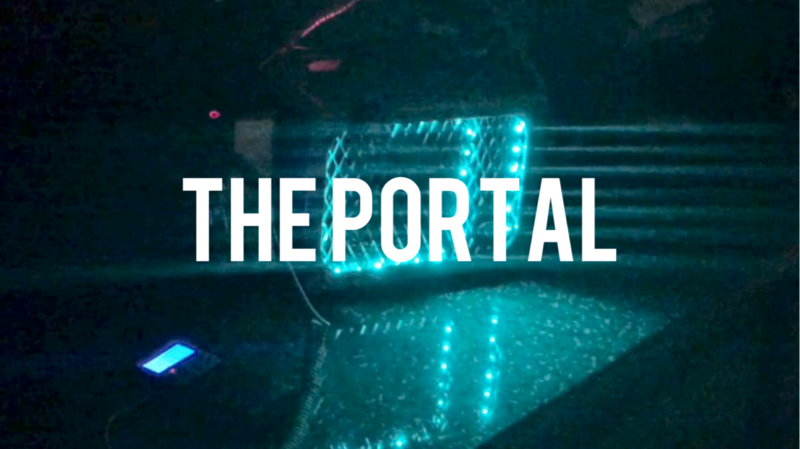 Dave recently installed led lights on our Portal that respond with a graphic equalizer to the strength of the signal. That’s right – the lights get brighter as the spirit gets stronger. We have only had a chance to turn it on for a brief test. Subscribe to our Rue de la Mort on YouTube channel to catch updated sessions. This entry was posted on February 9, 2016 by csaumure in Ghost Adventures, Ghost Box, Ghost Stories, Halloween, History, Huff Paranormal, My Psychic Kids, News, Portal Instructions, Sacramento Ghosts, SB7, Spirit Box Sessions, Steve Huff, The Portal and tagged dorothea puente, F Street Boarding House, Paranormal Family, Sacramento Paranormal, Sacramento Serial Killers.